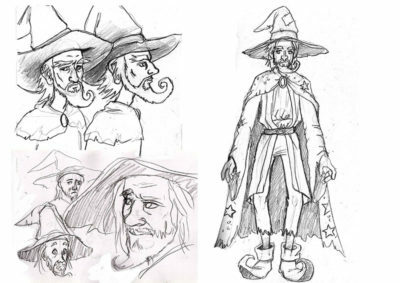 Character Designs for 3D modelling | Mair Perkins Ltd.
A fellow I met on a sky diving course back in 2008 emailed me in 2015 as he wanted to change his career in aerospace engineering to become a 3D animator. So he had set himself a personal animation project based on Terry Pratchett's Discworld to aid his learning. 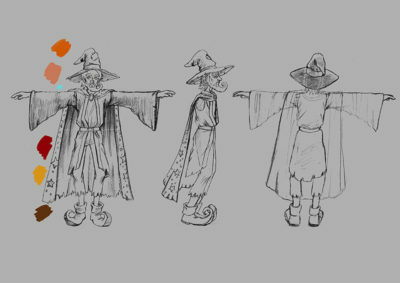 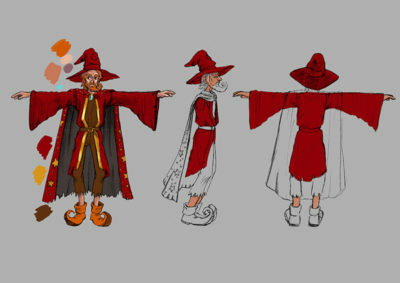 He asked me to design the character Rincewind in the standard character design sheet "T" shapes so he had visual reference to work from when modelling in 3D software.